This is the 13th year of the Miami Dance Festival. What began as a 4 day festival featuring local companies, has grown into 6 weeks of dance events featuring local and national companies. While the rest of the US is just coming out of winter, Miami in April and May is already into spring. It’s an ideal place for a festival which this year includes Momentum Dance Company, a lecture and performance by the Carolyn Dorfman Dance Company from New York, and Ballet Flamenco La Rosa. The festival is presented by Momentum Dance Company, one of Miami’s oldest modern dance companies. Delma Iles is its founder and artistic director. Her vision of the festival is to present dance in many different aspects and to try new things every year,”Engage the public, especially different age groups,” states Delma. The festival certainly does just that. 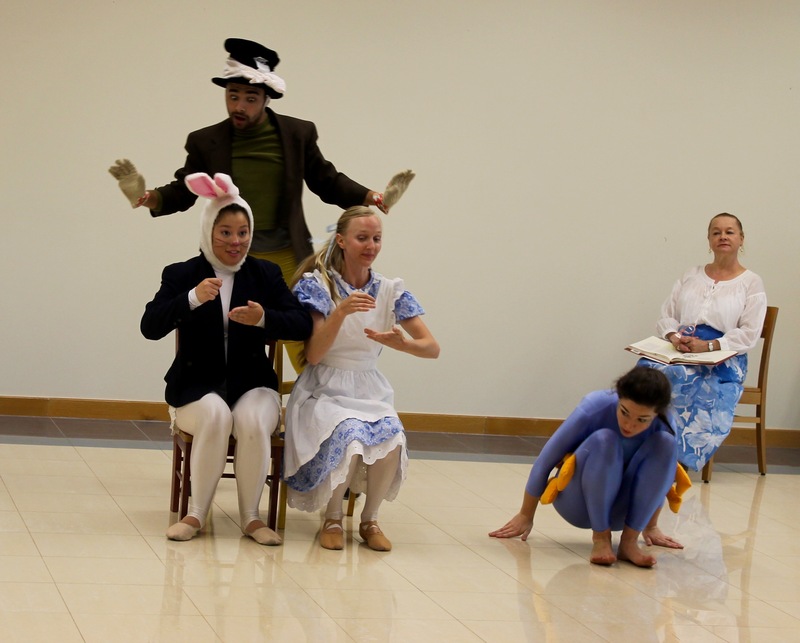 On a bright Saturday afternoon families are gathered at the Miami Beach Regional Library for a delightful performance of Alice in Wonderland (Scene IV). The Mad Hatter is mischievous while Alice is pursued by the Red Queen, children smile and are pulled into this energetic and timeless tale. Further down on the beach stands a 1939 Art Deco hotel. This is the charming National Hotel and it’s perfect for Momentum’s Water Ballet program. 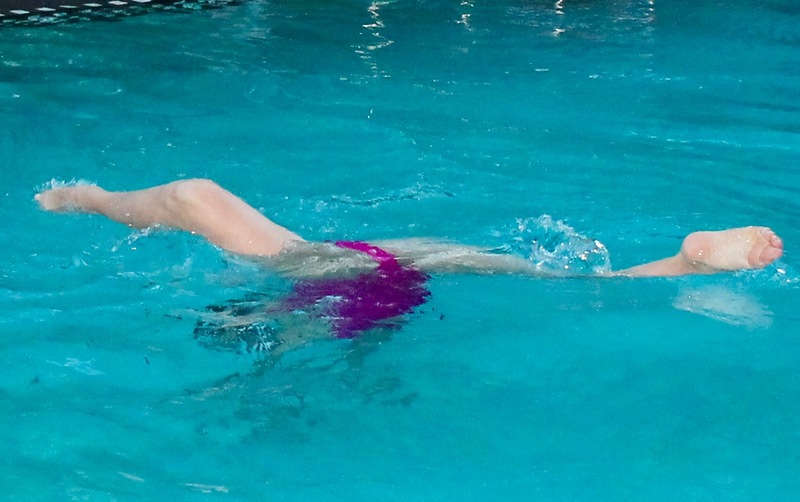 Momentum Dance Company has been performing water ballet for some time. This beautiful art form is not without challenges for a choreographer, “The dancer can not move as fast and the resilience of the water slows you down,” explains Delma. However, the two pieces on the program, Étude and Sparkle, were mesmerising to watch. Étude, with music by John Field, is a lyrical water ballet. It starts with a duet with one dancer at times supporting the other as she floats. This is a dance of reverence. The water is almost a sacred place. The duet is joined by other dancers. They come together, linking arms and folding into each other. Within the stillness of the water are moments of exhilaration with a dancer lifted high out of the water, then returned to this beautiful and serene group. Sparkle, with music by the Belgian rock group Hooverphonic, opens with a lone dancer adrift in the water. She is joined by other dancers and we are drawn into a world where dancers move like dolphins at play. We are a captivated audience, then the music ends and we must leave this idyllic world. The festival was closed with El Padre (The Father) created and directed by Ilisa Rosal, the founder and artistic director of Ballet Flamenco La Rosa, a Miami-based dance company composed of artists from Spain, Latin America and US. El Padre was inspired by August Strindberg’s ‘The Father’, which tells the story of a family’s rebellion against the father of the household. It is a powerful narrative told through the art of Flamenco, “I’m using Flamenco as a language to tell the story of a play,” shares Ilisa. Dancer Carmela Greco gave a compelling performance as the mother in this piece which brings together dancers from Miami, Spain, and Sweden. Both the daughter (Josefine Chiacchiero) and the second guitarist (Johan Moberg, “Manantial”) are from Sweden and this piece will be presented there next year. Miami Dance Festival celebrates dance presenting exciting companies and dancers from around the world and it’s with much anticipation that we await the 14th year of the Miami Dance Festival.